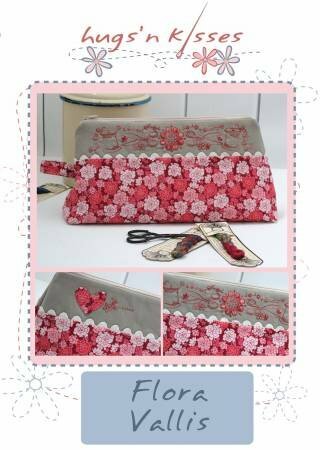 A great size vessel, pouch, bag or vallis for holding treasures, sewing goodies, trinkets, and more. A new stitching bag for you or a gift for a friend. With simple embroidery and that touch of ric rac to finish. Make it in any combination of beautiful fabrics. Bag measures approximately 12in wide. Iron on transfer and applique paper included.